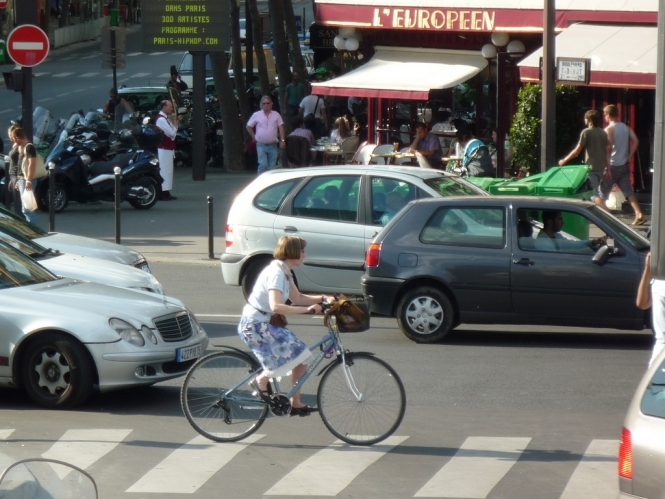 Cyclists have taken part in a series of demonstrations in a number of French towns and cities to highlight the dangers they face on the roads. As excitement mounts ahead of this year's Tour de France, which begins in the German town of Dusseldorf on July 1, about 1,000 riders staged a lie-down at Place de la Bastille in Paris shortly before midday, France Bleu reported, and respected a minute's silence in memory of those who have lost their lives on the roads of France. They were joined by professional cyclists including FDJ rider William Bonnet and UCI ProTeam Wanty-Groupe Gobert's Yoan Offredo. A delegation of cyclists then presented proposals to make cycling safer at the Interior Ministry. Suggestions included improving cycling lanes, greater education for children and nationwide awareness campaigns. In 2016, 159 cyclists were killed, according to official figures, a rise of 8% since 2010. Earlier this year, three-time Tour de France champion Chris Froome was knocked off his bike 'by an impatient driver' as he rode a difficult mountain road not far from his Monaco home.